Goals can include having visitors sign up to receive emails, download a coupon or ebook, enter a promotion or make a purchase. These actions need to be easy to complete. By making it possible for visitors to do this in tabs on your Facebook page, you can increase the rate of visitors successfully completing the desired action. Using the right tab apps can increase your success! Give visitors access on Facebook to key tools and information. Below is revealed common goals of four different industries (restaurants, hotels and travel destinations, local retailers and professional service companies) and outline key tabs that these industry page managers should consider implementing on their Facebook pages. As you’ll see, there are some commonalities of tab types that can and should be used to increase Facebook marketing success. So if your industry is not represented specifically, don’t fret—common threads do apply! Allow customers to see your specialties easily right on Facebook with a tab that includes your menu and perhaps a PDF download of it, or simply use a tab app solution that allows you to add your menu from your website to a tab. 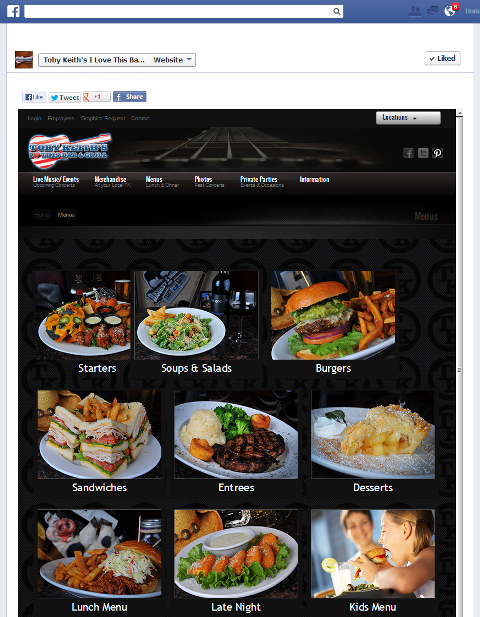 Give visitors access to your menu right on Facebook. By iframing in your website menu, efficiencies are gained! Simply make changes on the website and the tab is updated as well. Plus, by having the menu on the tab, your page can use features such as a “like gate” so that visitors must take the quick action of liking the page in order to see the menu. 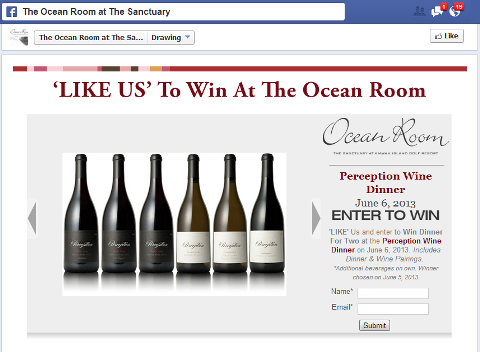 Add an email sign-up tab to your Facebook page and make users aware of it through posts and tips in the news feed. Your restaurant can grow its email list and then reach potential customers via email as well on Facebook. 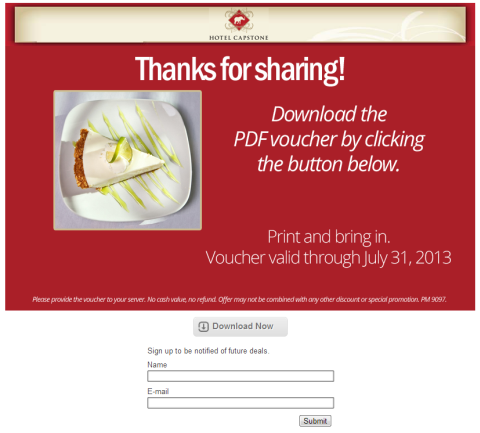 Email sign-up with free dessert voucher. Who doesn’t like a deal? Offer an incentive that drives foot traffic—offer a coupon or discount deal on a tab. 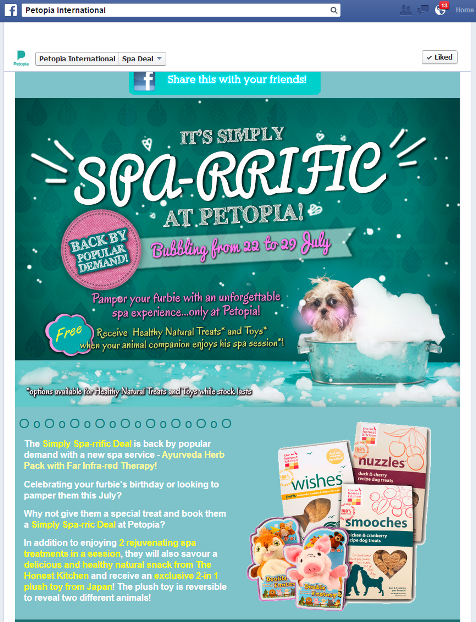 To get even more long-term marketing value, integrate an email opt-in with the special offer. Special offer example that extends reach and rewards new fans. Combine a promotion incentive with an email opt-in to grow your email marketing list more quickly than simply using an email sign-up tab alone. The promotion serves as an immediate way to potentially increase foot traffic to your restaurant, and the email sign-up gives you an ongoing method to market to those same individuals. Is Saturday night packed at your establishment? Do customers want to call ahead to reserve their table? Do you already take reservations via your website? If not, then consider adding a reservations form to a tab on your Facebook page. By using an iframe or website resizer app solution, you can easily add your website reservations page to a tab and make it easy for Facebook users to get a spot at your restaurant! Have your reservations system functionality built into a custom tab, which can be as simple as a form to enter date, time, name and mobile number. Use a cost-effective approach of iframing your existing web reservations page URL into a tab which serves to offer the same web feature right in a tab on your Facebook page. Add your reservations page to a tab. Give your visitors a view of your best and finest features! Add a tab with a gallery of images and perhaps a quick video to inspire visitors to like your page and connect with you further. A related idea is to offer an events tab, feature special activities or offers for users to learn about or opt into. The example below showcases key features of the hotel, while also incorporating the ability for guests to look up availability and check rates—a great combination! Display your finest points and enable visitors to take action. As noted in the restaurant section, a desired action for visitors to complete that can help grow your business is the ability for visitors to sign up for email lists about specials or events. When combined with an incentive, the rates of sign-up can be greater. This is a great way to connect with your visitors so that when the time is right for them to plan their next trip, your location can be first on their mind! 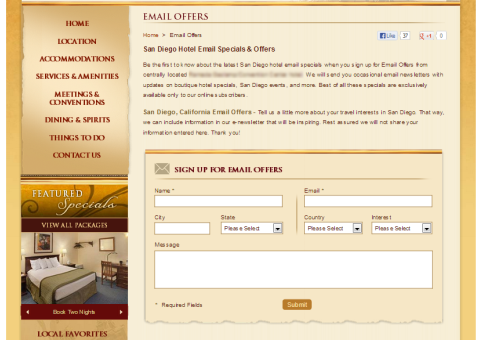 Example tab to allow sign-up for email offers. A key for hotels and restaurants is keeping the facility bookings up! Why make visitors jump outside of Facebook to get to a reservation? If you’ve captured their attention in the news feed with a post and brought them to the tab, make it easy for them to check dates and get their reservation started. 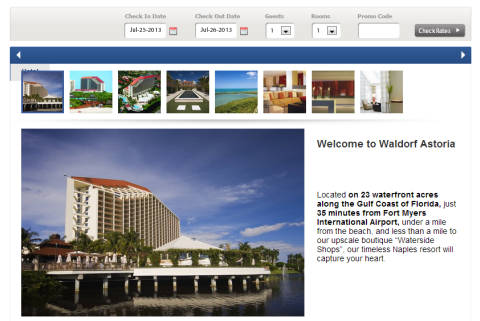 Use an iframe or website resizer app solution to add your website reservations page to a tab and make it easy for Facebook users to get a spot at your hotel! Make it easy! 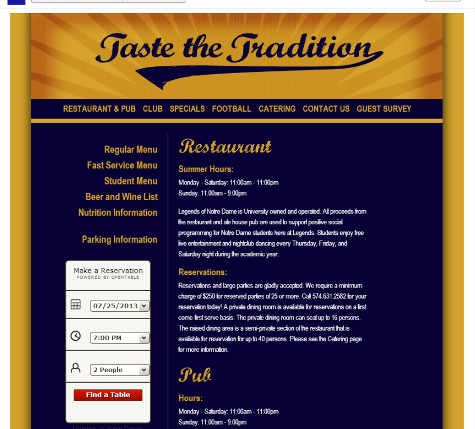 Add the reservations web page to a tab. 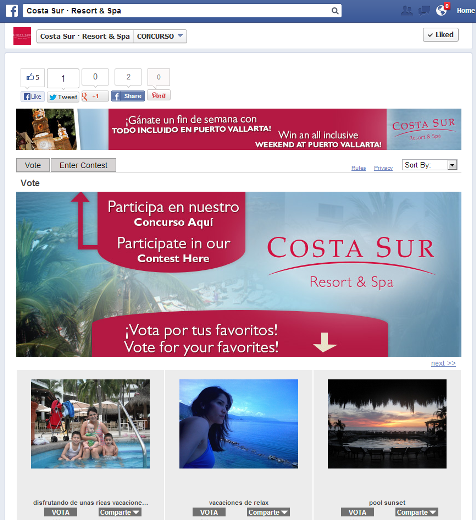 Hotels and travel destinations can generate buzz and increase reach and engagement on their page when they host a contest or promotion. Contests and promotions can benefit a page in many ways—from growing the email list to reaching friends of fans, and more. A contest that’s tied to your location, such as a photo contest to win a free or discounted stay, can be a great way to boost engagement. Contests can increase reach and reservations. A key for local retailers is inspiring traffic to come to their store. 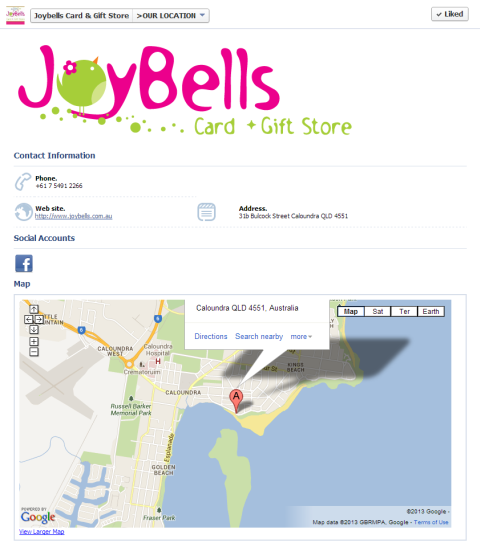 As outlined in 11 Checks to Ensure Your Facebook Page Is Up to Date, one important item is to allow Facebook check-ins. This can help you gain visibility in Facebook’s Graph Search and with friends of those who check in. Post enticing nuggets of information to the news feed and include a link to the custom tab where you showcase either a deal or a featured product. A key decision is to know what the goal of each tab is. Do you want to ensure a user has liked your page, completes an email sign-up, downloads a coupon or something else? Know the action and provide the information to help accomplish that goal. In this example, a time-specific offer is outlined (to keep the image height limited I’m not showing the form below the offer). The brand used a time-limited offer with a form to encourage fans to act and give them the opportunity to do so right on the tab. A limited-time offer inspires participation. As with restaurants and hotels, having an email sign-up tab is an opportunity to grow your company email list. As fans sign up, it adds value and potential to your ongoing marketing. Offer a simple incentive such as a coupon in exchange for the opt-in to help drive traffic to your tab and increase the number of sign-ups. 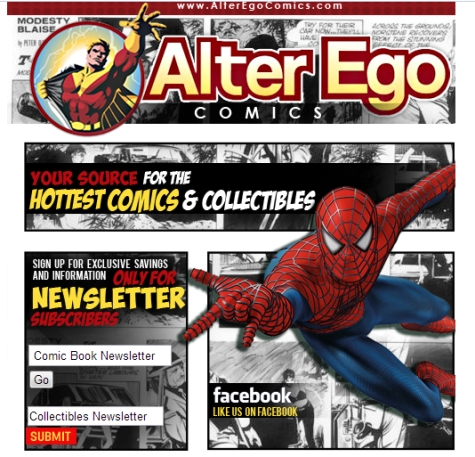 Retail locations can add email sign-up tabs. With news feed posts that drive interest and build engagement with friends of fans,direct traffic to your location map tab to help Facebook users find their way to your location. A recommended feature for your map tab is a Get Directions option that will make it easy for Facebook users to plan and come to your location. Offer a map tab to help fans get to your store. As we’ve seen thus far, each industry has unique offerings that can be of interest to particular Facebook users. Professional service companies cover a wide range of business services from trainers and realtors to social media consultants, doctors and more. The key is for each to identify the fan actions that they want and to focus tabs accordingly to achieve those results. 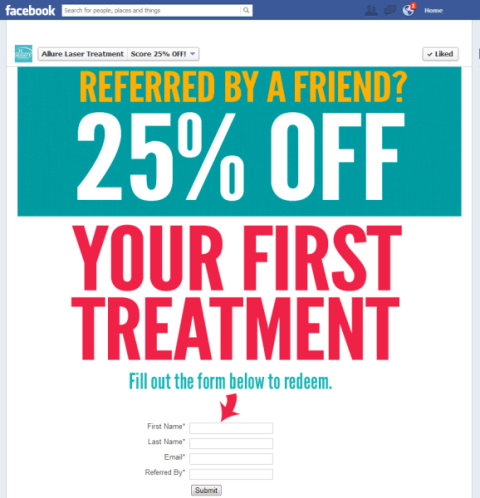 Allure Laser Treatment created a tab with an incentive to refer a friend. The special offer included a lead-capture form from which they could do follow-up marketing. Incentive tab offers are best used when tied to your company services and specialties, and allow the user to see and respond quickly right on the Facebook tab. Incentive that is tied to the professional service offered. Pam Moore offers free ebook downloads as an educational incentive for visitors to opt into her email newsletters that are focused on a key topical area. Beyond growing her email list, the ebook materials inform, assist and help visitors get to know her company more intimately. This type of added value is a great socially relevant method to win new clients by being helpful. Professional service providers need to find ways to link their email marketing with assembled content to create ebooks and other package materials that add value and demonstrate thought leadership. 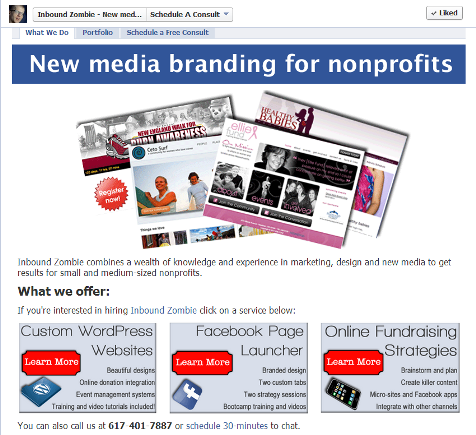 This is an example of a web page brought into a Facebook tab. Again the value is that one created item, a web page, is now used in two unique locations—the website and a Facebook tab. Ebook offer for email opt-in = resources that incentivize the sign-up. Let’s be practical. As a professional service provider, you need to make sure youoffer a simple and clear message on the services you provide. Posting tips and then linking to your tab where interested parties can become fans of your page and get clarity on the range of services you offer give Facebook users an easy way to learn about and understand your company. It’s clear what John Haydon‘s three primary focus areas are from a quick glimpse at his tab! Tab with a clear and simple outline of services offered. A key tab feature that some professional service companies have is the ability for visitors to use their tools to find information for themselves. 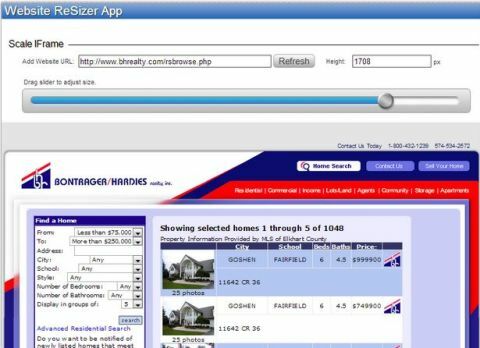 Realtor home listings and ecommerce stores are examples of providers using this. Someone making a home purchase is going to want to review homes for sale. Make it easy for fans and interested Facebook users to search for homes while staying on Facebook. Integrate a tab with a home listing and search feature, either by bringing in a web page or custom-programming a tab to offer relevant and valuable assistance to your consumers. If you offer services that can be purchased on your website, offer the same purchase capability on a Facebook tab to increase sales. My mantra continues to be users are on Facebook because they want to be, so give them what you’ve got right on Facebook! Make it easy for them and be a resource on Facebook where they can find answers and take action. Add your realty listing web page to a tab for Facebook shoppers. If there’s a pattern you recognize, good! Though industries can vary greatly, there are some similarities in ways that Facebook page tabs can be used. Common opportunities include the ability to grow email marketing lists, offer incentives and deals and deliver features that can be critical to gaining customers and growing your business. 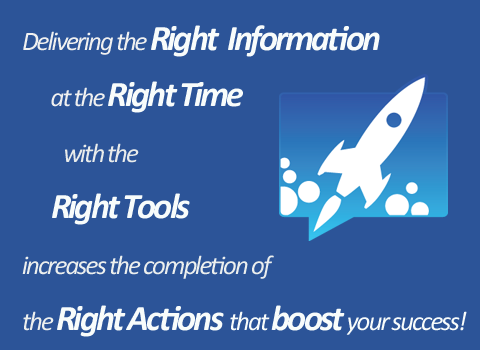 The key, again, is to offer the right information at the right time and in the right method so that a Facebook user can see, learn and complete an action while remaining on Facebook. While not exhaustive, these tips can help Facebook page managers reflect on ways they can improve their Facebook page offerings for a variety of industries.